Kefir sour cream may just be the best kept secret in the world of fermented foods. 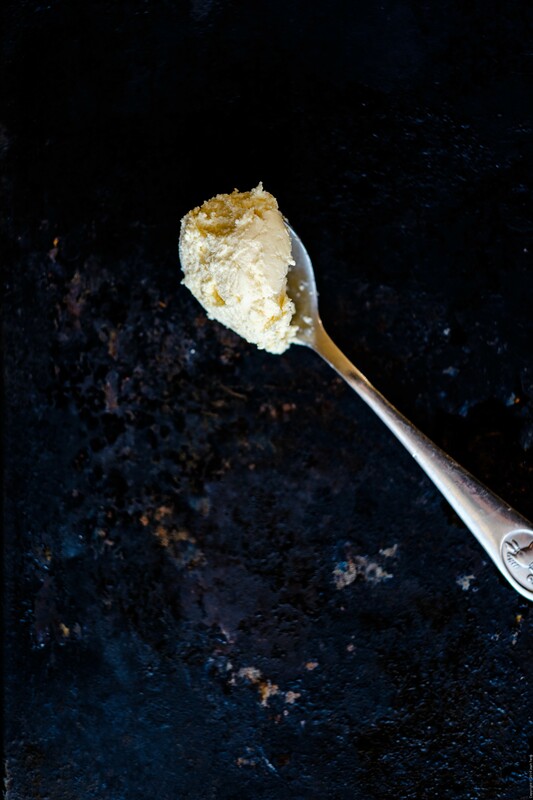 It’s easy as – kefir grain meet cream, cream meet kefir grain. And voila, not only do you have all the goodness of kefir culture, you also end up with a naturally thick soured cream (no thickeners or emulsifiers here thanks), as mild or tangy as you like it. If you’ve been stubbornly resisting the idea of DIY fermentation, do yourself a favour and give this one a go. Pour cream into the jar and add kefir grains. Screw the lid on loosely to allow carbon dioxide to escape. 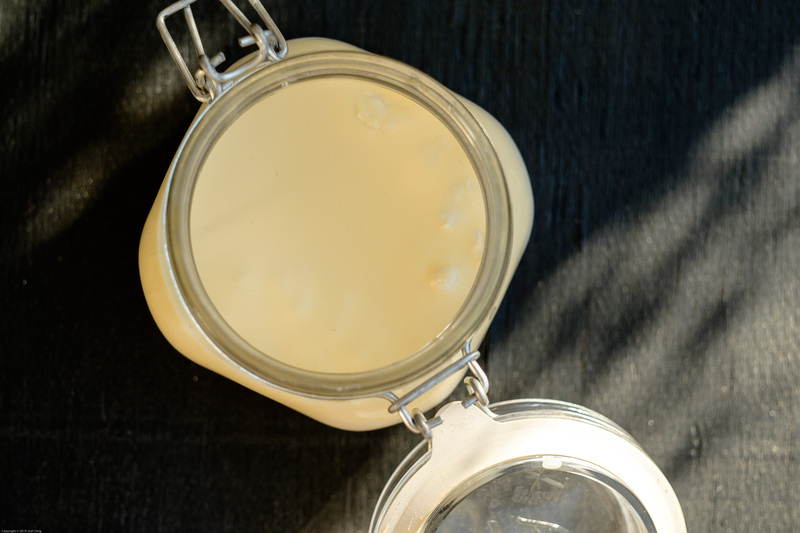 You can cover the mouth of the jar with cloth, but sealing the jar favours the anaerobic bacteria in the culture and helps prevent oxidation of the milk (a jar with an airlock is ideal). Set the jar in a dark spot (out of UV light) until the cream has thickened, approximately 12-48 hours. The time it takes to culture depends on the ratio of kefir grains to cream, as well as the temperature. I recommend room temperature for the best consistency and flavour, but you can leave it somewhere warm if you want to speed things up. Remove kefir grains by scooping them off the top of the cultured cream, or by working the cream through a sieve (trust me, the first option is a lot easier, which is why I recommend using a couple of large grains so you don’t need to go hunting). Taste the cream, it will probably only be mildly sour. If you would like a more tart cream, leave it at room temperature for another 12-48 hours, testing it from time to time. Store in the fridge, where it will thicken even more. Keeps well in the fridge for at least a week, though it will continue to ferment and sour slowly even at this low temperature.